Are you starting your own small business? 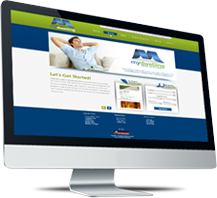 Or are you a larger company looking for an upgraded website system? Intagent is here to be your partner in real estate technology. Intagent offers the features you need to showcase your business, bring in customers, leads, and online marketing to potential clients. We work diligently to give you a solid online presence, and also give your agents and brokers the tools they need to succeed in today's online world. Give customers a recognizable style that shows off just how you do business. Intagent can provide all of your agents and brokers with a consistent brand whether that is through one website presence, or through 100s of websites for all of your agents and brokers to dominate your market. Intagent offers deep discounted pricing on agent and broker websites for companies with four or more people. Contact us for discounts for your company today and give your agents and brokers additional added benefits for working on your team! Email Marketing Platform for your business emails. Custom Form Generator for your unique needs. Unlimited webpages and listings for all you can dream. Local content and foreclosure data to dominate your market. Whether you're a small company just starting out, or a company that has been in business for a while, our products can be a valuable asset for your business.